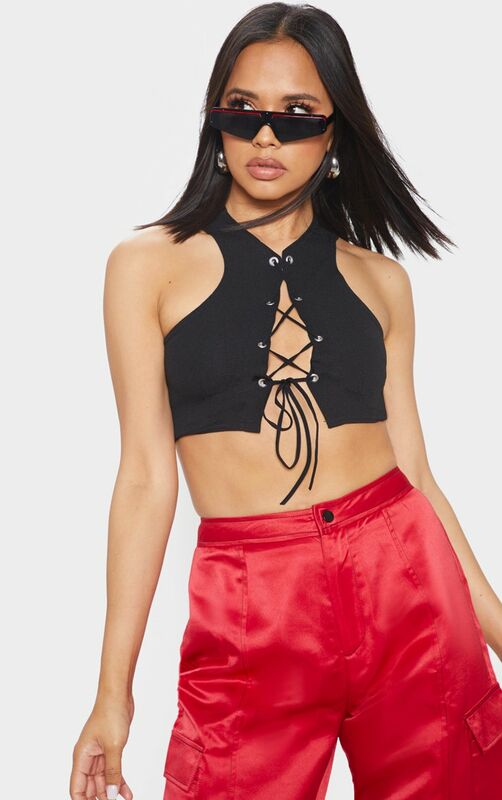 Amp up your basic crop top this season with sultry details. Featuring a lace-up front and sleeveless design. Finish the look with satin joggers and barely there heels for a feminine edgy vibe.